We were fortunate to have Nathan Lane (Japanese Language Teachers Association of Victoria President) and Hiroshi Hondo (The Japanese Language Speech Contest Victoria President) attend our February Executive Committee meeting. 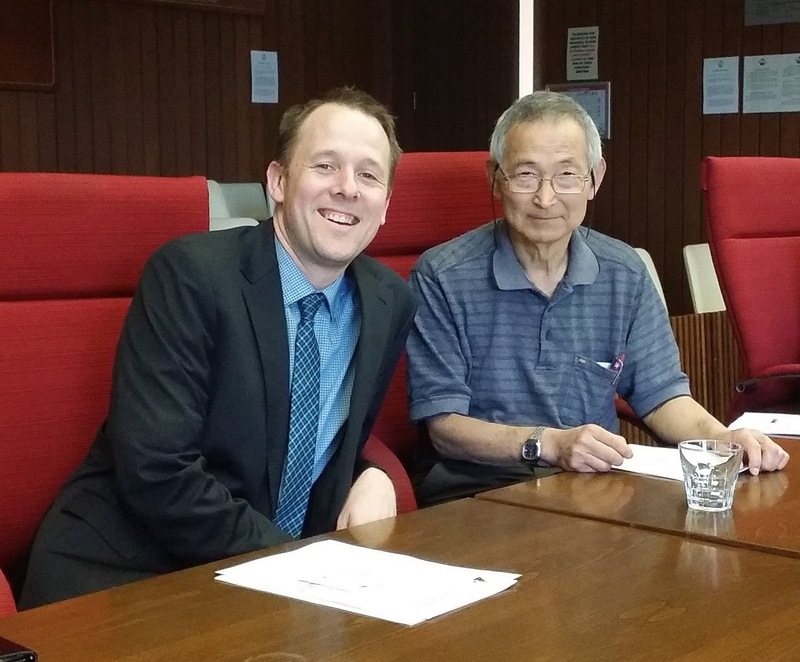 Both contributed to our discussions of our 2018 Japanese Speech Contest which will be held on Friday 7th September at Monash University - Frankston Campus. Each year we review how the competition was run and work to refine and improve for the following year. We discuss the feedback received from our judges, as well as the teachers, student participants, parents and executive committee members. We are very grateful to both Nathan and Hiroshi for making the time to attend our meeting and provide valuable feedback. FSFA is hoping to further the relationship between our associations to promote the teaching and development of Japanese language within our community.